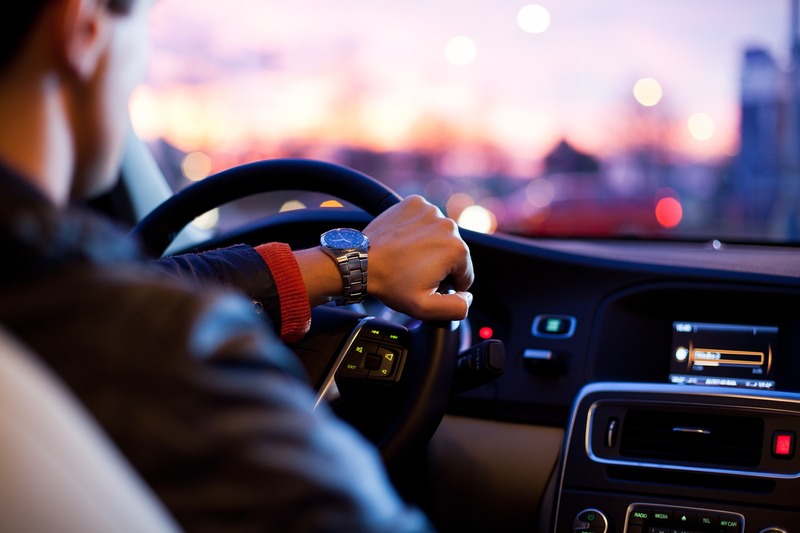 While there are a number of indications that a driver might notice that do not require immediate action, there are some issues that, because of the safety implications or chance of damaging the vehicle, require immediate attention. Avoid dangerous conditions and big repair bills by correcting the following issues immediately. As always, thoroughly understand the manufacturer's recommendations regarding indications present in the vehicle display. Engine trouble can manifest itself in a variety of ways, some more obvious than others. For example, a broken timing belt will, in the best of circumstance render a vehicle powerless by effectively "shutting off" the engine. In the worst cases, in interference engines, a broken timing belt will allow the pistons to impact the valves, now out of timing, and will destroy the engine. “IMG_0234” by Grant.C on Flickr, licensed under CC BY 2.0. A deeply misunderstood indication of car trouble is the so-called "check engine" light. The check engine light usually means there is a problem in the emissions control circuits of the car. The oxygen sensors, mass airflow sensor, gas cap, vacuum line or the catalytic converter is functioning abnormally. A steady illumination of the "check-engine" light can generally be considered to be advisory and although an indication of a malfunction, does not require an immediate vehicle shutdown. A flashing light however, typically means that there is something significant that is allowing raw fuel to damage the catalytic converter and the vehicle should be stopped as soon as it is safe to do so. 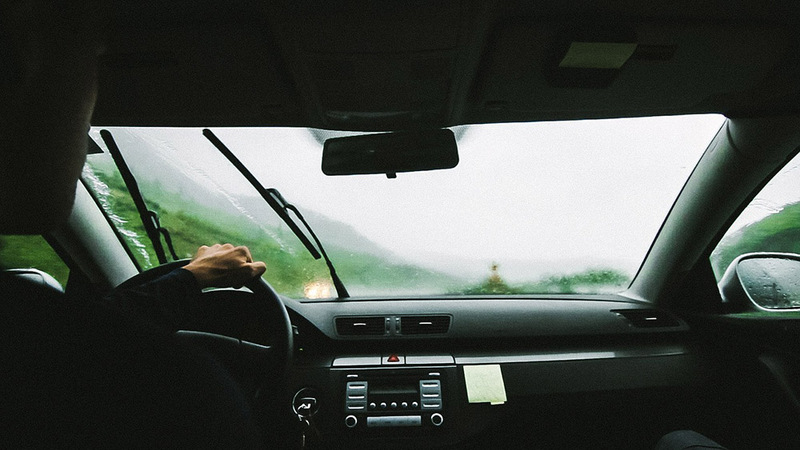 The fluids in the vehicle, with the exception of the windshield wiper fluid and small losses of engine oil, should not disappear or be used up over time. Small losses of engine oil are not uncommon but should be limited to small percentages of the oil lost through lightly worn piston rings and engine seals. There should be no drips, puddles, or leaking fluid reservoirs. If fluids are leaking out or mysteriously disappearing, it is time to head to the shop. «Whoops! (missed that oil plug on the block)» by Grant.C on Flickr, licensed under CC BY 2.0. The trouble with leaking fluids is that they seem innocuous but have serious consequences. 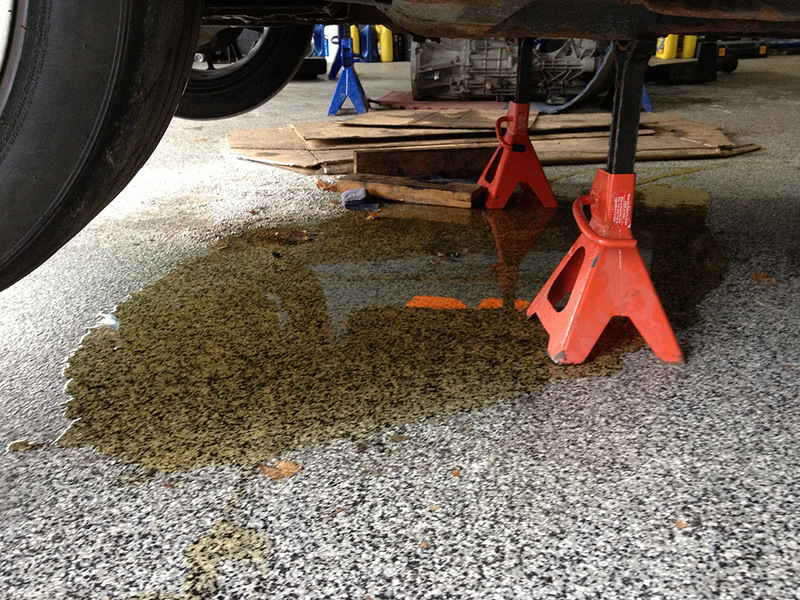 A loss of brake fluid can eventually lead to a brake failure. Likewise with power steering fluid leading to a loss of steering authority. It goes without saying that safety is compromised if these systems fail. Less dangerous but ultimately disastrous for the engine is the loss of oil. As oil level is reduced, engine temperatures go up. Eventually, the thermal runaway leads to failure of the lubricating capabilities of the oil. An engine has seconds, once it is un-lubricated, before it is destroyed. Brakes wear with each application. Both the friction pads and the cast iron rotor wear under the pressure and temperature of braking action. Eventually, the pads can wear through and metal parts can be allowed to contact the rotor. Once this happens, the rotor is damaged. Fortunately, brake manufacturers include a small metal strip in the pad that creates a noticeable squeal just before the pad wears through. 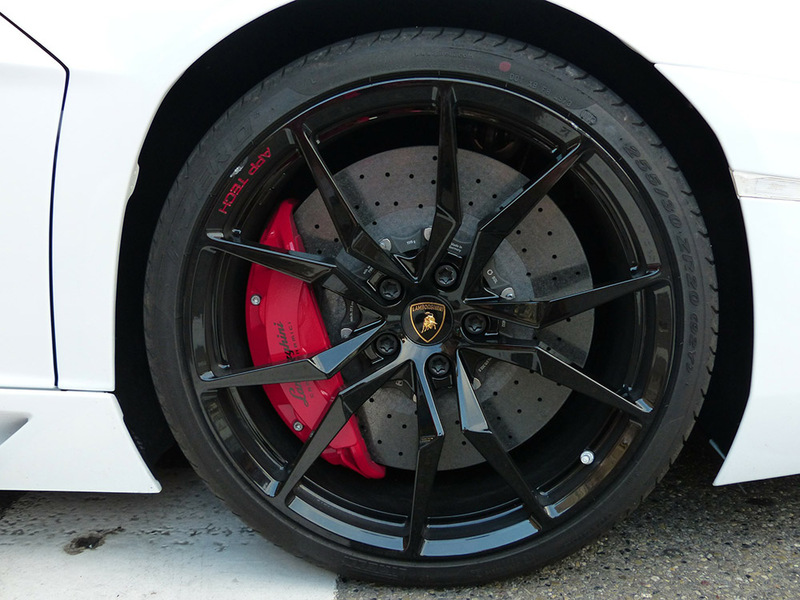 For obvious safety reasons, it is important to listen as the brakes are applied and to notice any change in feel, sounds or braking action. Image courtesy of pixabay.com, licensed under CC0 Public Domain. Any change is reason to have the system inspected. 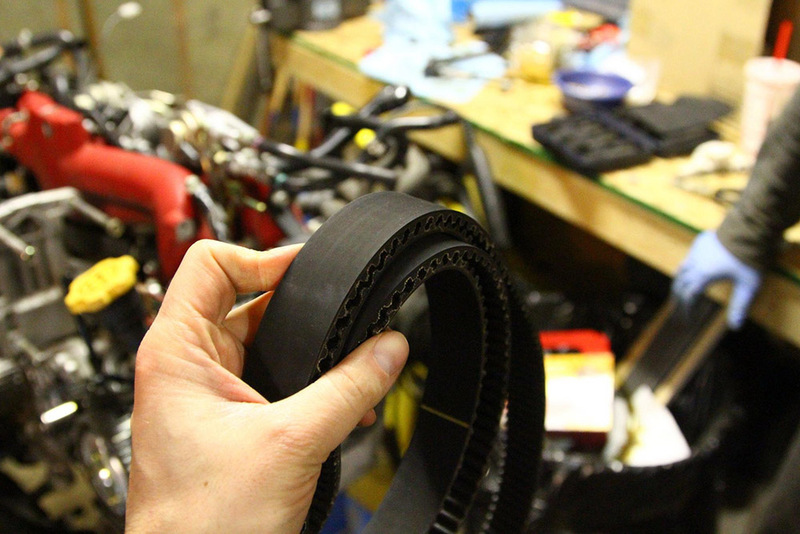 Squealing or squeaking sounds during braking probably mean it is about time for new pads. Grinding, a softening pedal, or reduction in braking action are more serious concerns and should be inspected immediately. tread depth can be checked using the "penny check"
“front tires, wear” by badheartbull on Flickr, licensed under CC BY-SA 2.0. 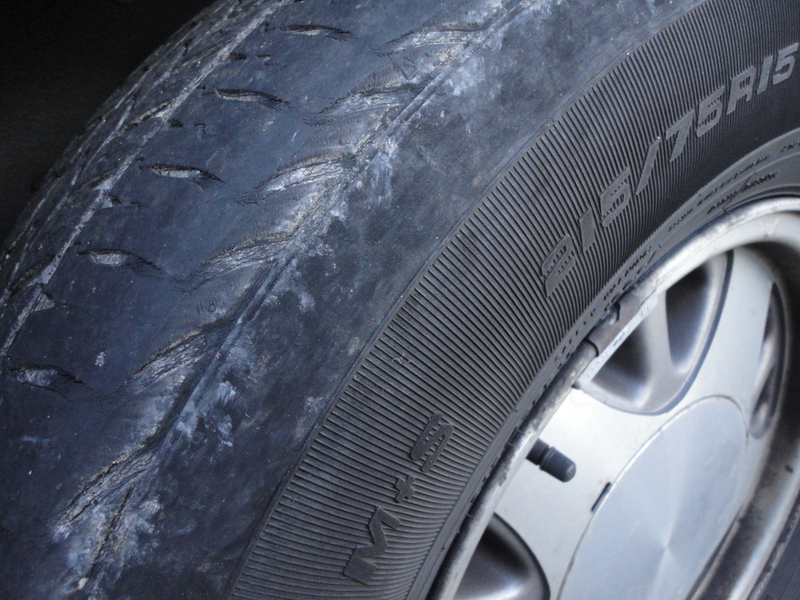 While driving, a surprising number of tire problems can be heard or felt through the steering wheel. If the car is pulling in one direction or if the steering "wanders", it is possible that tire inflation or alignment problems exist. Likewise, any sounds or vibrations (often felt as a bump) that increase in frequency with speed call for a check of the tires. If transmission trouble is evident, head to the shop right away. The steering and suspension in the front of the vehicle is a critical link between the driver and the car. There are a lot of moving parts that convert steering wheel inputs to results on the road. Over time, the connections that allow for articulation of the front wheels such as the ball joints, CV joints, and tie-rods, can wear out. Wheel bearings can be thrown in to the discussion too although they aren't unique to the front wheels. Front suspension and steering should be checked and serviced regularly as the safety consequences of a failure are quite high. Because of the ramifications for safety, headlights and windshield wipers need to be in good working order. Wiper blades should be replaced as soon as they fail to cleanly remove moisture from the window. Headlights should be working in both normal and high-beam. Aim of the headlights should be checked if the headlights work but don't seem to illuminate the roadway. Likewise, if the lights come on but seem dark, the lenses should be cleaned and de-oxidized to maximize light transmission.